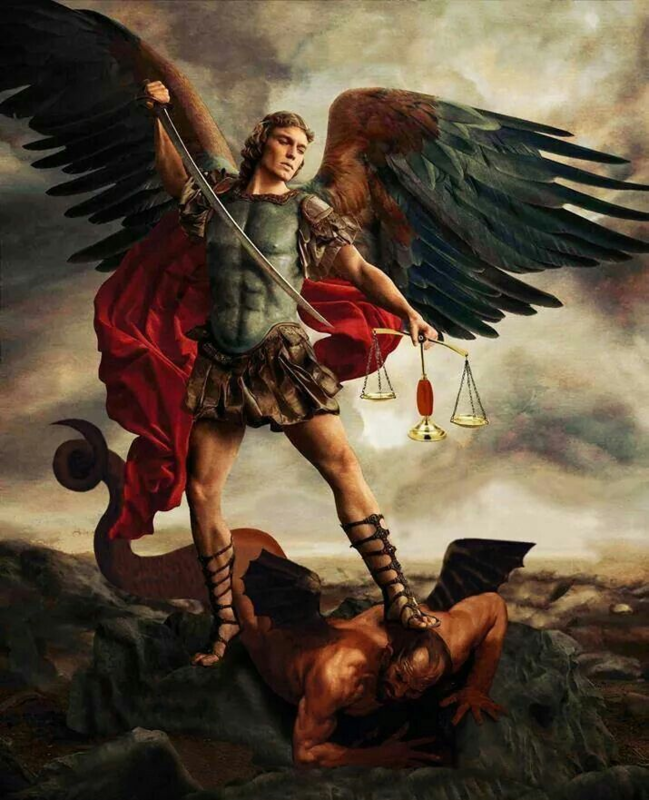 DOMINION: Michael the most well-known archangel who strengthens our spirit during difficult times or dangerous situations. His name means "He who is like God." He is the chief over the dominion order of virtues, angel of repentance, righteousness, ruler of the fourth heaven and conquerer of the evil and negative energy that seeks to pull us away from God. It is thought that Michael was the angel that Moses communicated with at the Burning Bush and that he is also the angel who saved Daniel from the lion's den. Archangel Michael inspires Truth, patience and Love. In Catholicism, he is the patron angel of policemen who guides and guards them as they work to protect us. And he is also the one who leads our souls to heaven. SAMPLE AFFIRMATION: I call on Archangel Michael to protect me and guide me at all times. SAMPLE PRAYER: Archangel Michael, I AM making a conscious choice to call out to you in those times when I feel troubled, afraid or when I feel the world is closing in on me. Through all difficult times I know to call on you and to ask you to fight my battles for me. God gave you the great ability to fight battles and now I turn my troubles over to you. God trusts you and I trust you, because you work for God. My Life is easy and effortless because you are part of it.